Java program for maintaining a student records database using File Handling. 2. Open the database file. 3. Read data from the user. 4. Print the data to file. 3. Read data from the filr. 4. Print the data on screen. 2. 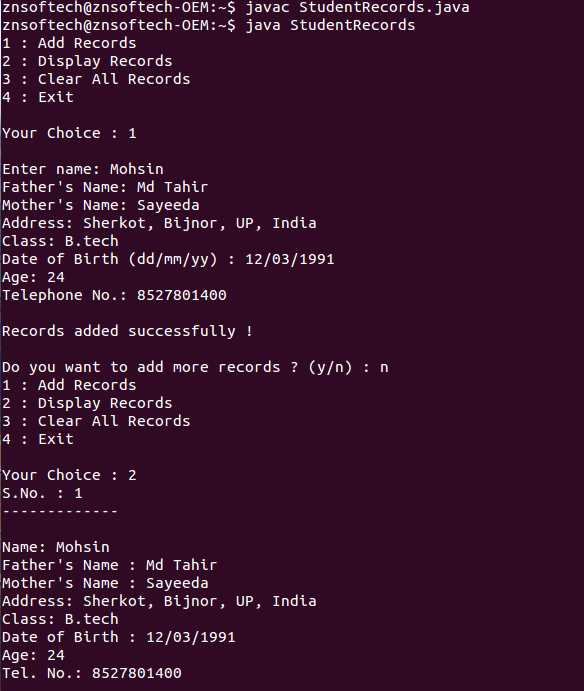 Overwrite the database file with a blank file. Address : Vipul Khand, Gomti Nagar, Lucknow. Everything is working perfectly. Check modified code. Where is the modified code? Hi! is it possible to output the data in a table? if so how?